Forever in pursuit of happiness, while having the unpleasant feeling of never catching up with it, is part of the sensation of ill-being with which many of us today are familiar. The action of the thought-forms we carry around with us constantly aggravates this state of being and everything which happens to us in our lives. Unknown to most of us, thought-forms affect our health, shape our happiness and, of course, our unhappiness. They can suffocate us or drive us forward, but becoming aware of and understanding them is vital on our road to liberation. By perceiving and knowing them, we can consciously build up thoughts-forms that help us and transform those which hold us back. The first volume deals with how we can understand and recognize our thought-forms in order to begin this process of transmutation. The second one contains exercises and practical self-healing. 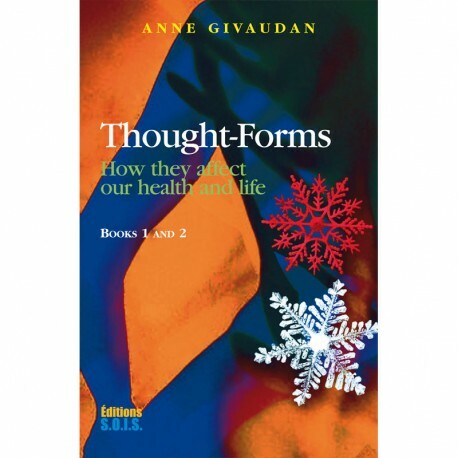 Anne Givaudan a French author and the co-author of 15 books that have been translated in many languages. She is known for her out of body experience and explorations of other worlds. Her books teach about the world of after-life, life on other planets and about main questions of our present lives. She hopes her discoveries and contacts will help each and every one of us to rediscover our true nature: multidimensional and limitless. Self-interview of Anne Givaudan and Antoine Achram about their book: the forms-thoughts (Editions SOIS).